Mesoscopic structures of nanocrystals are highly in demand these days and are a rapidly growing field of science, where the efforts of physicist and biologists are superseding every new technology present. 3D structures of nanocrystals images can now be netted using newly developed techniques researchers finally discovered. These nanocrystals are basically some tiny particles which hold the ability to fight cancer and can also obtain and save renewable energy in itself. 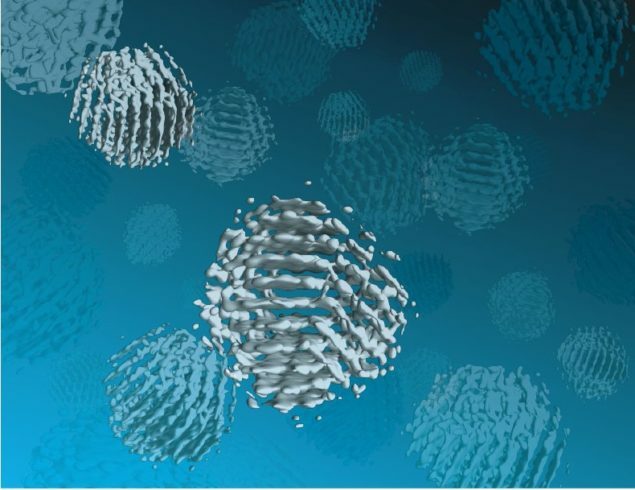 These 3D nanocrystals are measured in nanometers and hence they are extremely difficult to analyze and work upon. Since a nanometer is literally one millionth of a millimeter, making it really difficult for the researchers to find out how they work. Researchers from many places around the world including many from Princeton, Boston and Harvard Universities, discovered the 3D modelling technique (called SINGLE) that allows the 3D characterization of nanocrystals for the first time ever. Till date no exact characterization of the 3D nanocrystal superlattice structures ever happened and hence remained an unambiguous determination. The imaging was possible using the technique called ‘SINGLE’ which stands for 3D Structure Identification of Nanoparticles by Graphene Liquid Cell Electron-microscopy. SINGLE, the imaging technique, is a systematic improvement of a previous imaging technique at hand. The field had anticipated cubical or at least highly symmetrical platinum nanocrystals. “It was surprising to learn that they form asymmetrical multi-domain structures,” Elmlund said. This revised model contains three basic components which includes a graphene cell, which looks like a bag that is hardly one molecule thick, holding enough liquid while exposed to electron microscopes ultra high vacuum. The other component is more like an electron detector. This is interesting to many researchers since it looks like some primitive camera film and since it is used in order to capture nanoparticle films while they are in spinning motion. Lastly, a modelling approach is used which allows the generation of a 3D individual nanoparticles. This technique is more commonly known as PRIME. “It is important for us to understand this, so that we can design new materials, for example, to build better or more efficient solar cells, or make better and more economical use of fossil fuels,” Elmlund said.